I don't know about you, but I love decals for my kids rooms. Right now my oldest daughter has this super cute "Oopsy Daisy" decal set in her room from Target. 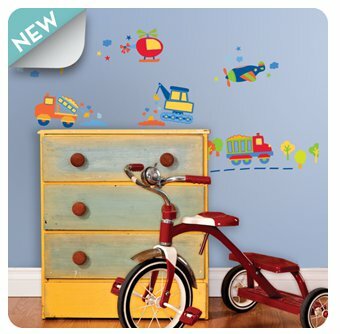 You can find wall decals all over (Target truly has a cute collection online), but the new collection of wall decals from Lot 26 Studio, are a fun and creative way to easily redesign any little one’s space. You can choose from a variety of shapes, sizes, colors, and themes including peel-and-stick designs, adhesive acrylic mirrors and much more. They have several new lines for babies and boys which are especially cute. 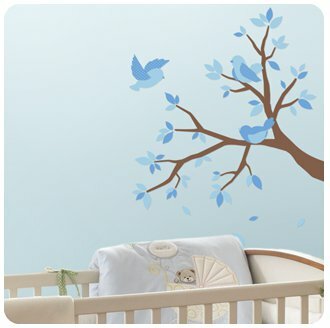 The perfect addition to any newborn nursery is the Blue Sweet Birds & Branch Decal. This beautiful and calming nature scene sets the perfect relaxing tone for a baby’s nursery. Plus, it’s so easy to put up—just peel and stick! The Mirrored Alphabet is a super simple way to decorate your child’s room while helping him or her learn at the same time! These adhesive mirror wall decals take only minutes to put up and they’re sure to make teaching the ABC’s that much more fun. Whether on the ground or in the air, the Truck and Plane Decals are too cute for words. These fun and cartoony planes and trucks are sure to brighten up any playroom, classroom, or bedroom. 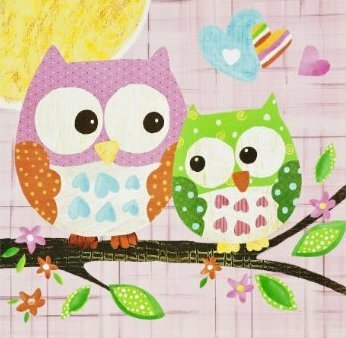 You can check out the complete new collection of these adorable wall decals for boys here. Anyway, just some ideas. Decals really are a great way to easily decorate a room. Happy decorating! Adorable. I have a grandblessing nook I'd like to decorate and these would be a perfect way to do it. Love all your ideas! Calling all Entries for a Lemon Celebration! Not too late to plant your hanging baskets!